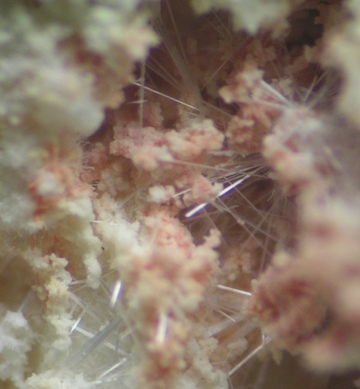 Fluoborite: Mineral information, data and localities. Named in 1926 by Per Geijer allusion to its composition, containing both FLUOrine and BORon. Fluoborite-Hydroxylborite Series. The fluorine analogue of Hydroxylborite. Acicular hexagonal prisms without measurable terminal faces. Fan-shaped or stellate groups. 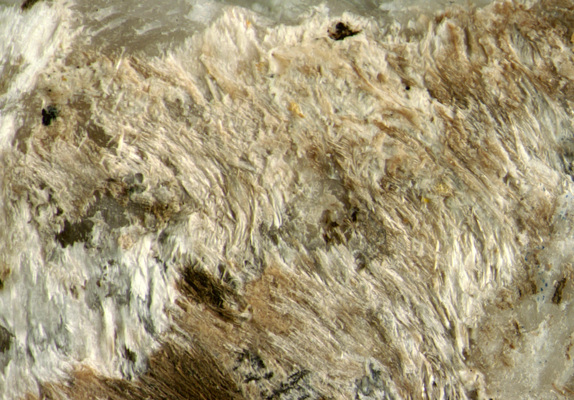 Fluffy, felted aggregates; rice-like grains. Calcite 12 photos of Fluoborite associated with Calcite on mindat.org. Graphite 8 photos of Fluoborite associated with Graphite on mindat.org. Norbergite 6 photos of Fluoborite associated with Norbergite on mindat.org. UM1986-10-CO:ClHMgMnZn (also called Mineral F, Dunn, 1995) 4 photos of Fluoborite associated with UM1986-10-CO:ClHMgMnZn (also called Mineral F, Dunn, 1995) on mindat.org. Dolomite 4 photos of Fluoborite associated with Dolomite on mindat.org. Hetaerolite 3 photos of Fluoborite associated with Hetaerolite on mindat.org. Pyrochroite 3 photos of Fluoborite associated with Pyrochroite on mindat.org. Tephroite 3 photos of Fluoborite associated with Tephroite on mindat.org. Mooreite 3 photos of Fluoborite associated with Mooreite on mindat.org. Sussexite 2 photos of Fluoborite associated with Sussexite on mindat.org. White (SW UV)(Franklin Marble, NJ & NY, USA). Geijer (1926) Geologiska Föeningens I Stockholm. Förhandlinger, Stockholm: 48: 84. Geijer (1927) Sver. Geol. Undersök, Ser. C, no. 343, Yearbook 20, no. 4: 26. American Mineralogist (1927): 12: 266. Bauer and Berman (1929) American Mineralogist: 14: 165. Scherillo A. (1938) - Ricerche sulla struttura cristallina della nocerite(=Fluoborite). Periodico di Mineralogia – Roma pp. 229- 248. Watanabe (1939) Mineralogische und petrographische Mitteilungen, Vienna: 50: 441. Johnston and Tilley (1940) Geological Magazne (Monthly Journal of Geology): 77: 141. Schaller (1942) American Mineralogist: 27: 467. Takéuchi (1950) Acta Crystallographica: 3: 208-210. Palache, C., Berman, H., & Frondel, C. (1951), The System of Mineralogy of James Dwight Dana and Edward Salisbury Dana, Yale University 1837-1892, Volume II. John Wiley and Sons, Inc., New York, 7th edition, revised and enlarged: 369-370. Flamini A. (1966) - Sulla composizione chimica della nocerite. Periodico di Mineralogia – Roma pp. 205-222. Rudnev, V.V., Chukanov, N.V., Nechelyustov, G.N., Yamnova, N.A. (2007): Hydroxylborite, Mg3(BO3)(OH)3, a new mineral, and the isomorphous fluoborite-hydroxylborite series. Proceedings of the Russian Mineralogical Society, 136(1), 69-82. Aleksandrov, S.M. (1998): Geochemistry of skarn and ore formation in dolomites. VSP (Utrecht, Tokyo), 300 pp. EDX-Analysis performed by Andreas Massanek/TU Freiberg. Dondi M., Pirazzini D., Puggioli G. (1990): I borati in Italia. Riv. Mineral. Ital., 14, 1, 1-19. P.M. Kartashov data; Russo, M. & Punzo, I. (2004): I minerali del Somma-Vesuvio. AMI Associazione Micro-mineralogica Italiana, Ed., Cremona, 317 pp. Caponera I., Fiori S., Pucci R., 2003. Fluoborite, piombo nativo, richterite ed altri interessanti ritrovamenti nei Colli Albani. Il Cercapietre, 1-2. Palache, C., Berman, H., & Frondel, C. (1951), The System of Mineralogy of James Dwight Dana and Edward Salisbury Dana, Yale University 1837-1892, Volume II: 370. Palache, C., Berman, H., & Frondel, C. (1951), The System of Mineralogy of James Dwight Dana and Edward Salisbury Dana, Yale University 1837-1892, Volume II: 323, 370, 376. Pekov, I.V., Zubkova, N.V., Yapaskurt, V.O., Belakovskiy, D.I., Chukanov, N.V., Lykova, I.S., Savelyev, D.P., Sidorov, E.G., Pushcharovsky, D.Yu. (2014): Wulffite, K3NaCu4O2(SO4)4, and parawulffite, K5Na3Cu8O4(SO4)8, two new minerals from fumarole sublimates of the Tolbachik Volcano, Kamchatka, Russia. Canadian Mineralogist, 52, 699-716.; Zubkova, N. V., Pekov, I. V., Ksenofontov, D. A., Yapaskurt, V. O., Pushcharovsky, D. Y., & Sidorov, E. G. (2018, March). Arcanite from Fumarole Exhalations of the Tolbachik Volcano (Kamchatka, Russia) and Its Crystal Structure. In Doklady Earth Sciences (Vol. 479, pp. 339-341). Pleiades Publishing. Ivashchenko, V. I., Valkama, M., Sundblad, K., Golubev, A. I., & Alekseev, V. Y. (2011, September). New data on mineralogy and metallogeny of scarns in the Pitkyaranta ore region. In Doklady Earth Sciences (Vol. 440, No. 1, pp. 1307-1311). SP MAIK Nauka/Interperiodica; Aleksandrov, S. M., & Troneva, M. A. (2009). Composition and genesis of endogenous borates from the Pitkáranta ore field, Karelia. Geochemistry International, 47(9), 914-929.; Ivashchenko, V. I., & Lavrov, О. В. (2006) Ore Deposits and Occurrences in the North Ladoga Region, Southwest Karelia. in Ore Deposits And Occurrences In The North Ladoga Region, Southwest Karelia Field Trip Guidebook. Understanding the genesis of ore deposits to meet the demands of the 21st century 12th Quadrennial IAGOD Symposium 2006. Moscow. P.41-64. Geologiska Föreningens I Stockholm. 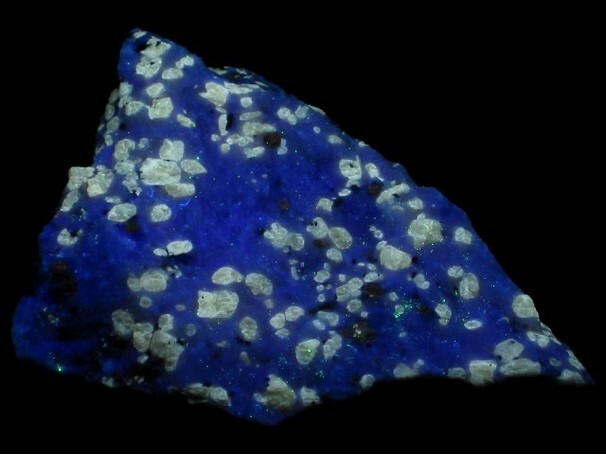 Förhandlinger, Stockholm, 48, 84-85; Mineralogical Record (1975): 6: 174; Palache, C., Berman, H., & Frondel, C. (1951), The System of Mineralogy of James Dwight Dana and Edward Salisbury Dana, Yale University 1837-1892, Volume II: 369. Aleksandrov, S.M. (2007): Endogeneous transformation of kotoite in calciphyres at magnesian-skarn deposits of boron. Geochem. Internat., 45, 666-684. Murdoch, Joseph & Robert W. Webb (1966), Minerals of California, Centennial Volume (1866-1966): California Division Mines & Geology Bulletin 189: 186; Segnit, Ralph E. & C.J. Lancucki (1963), Fluoborite from Crestmore, California: American Mineralogist: 48: 278-282; Pemberton, H. Earl (1983), Minerals of California; Van Nostrand Reinholt Press: 237. Chesterman, C.W. & O.E. Bowen, Jr. (1958), Fluoborite from San Bernardino County, California (abstract): Geological Society of America Bulletin: 69: 1678-1679; Murdoch, Joseph & Robert W. Webb (1966), Minerals of California, Centennial Volume (1866-1966): California Division Mines & Geology Bulletin 189: 186, 379.; Flamini, A. (1968) La fluoborite di Hope, San Bernardino County, California. Periodico di Mineralgia: 37: 129; Pemberton, H. Earl (1983), Minerals of California; Van Nostrand Reinholt Press: 516.; Otton, James K.; Glanzman, Richard K.; Brenner-Tourtelot, Elizabeth F. (1980) Uranium, rare-earth and thorium mineralization at the Hope Mine, eastern Bristol Mountains, San Bernardino County, California. USGS Open file report 80-821. Betancourt, P.P. (The Picking Table, Vol. 27(2):2-10; Dunn(1995):Pt5:641. Palache, C. (1935): 128; Palache, C., Berman, H., & Frondel, C. (1951), The System of Mineralogy of James Dwight Dana and Edward Salisbury Dana, Yale University 1837-1892, Volume II: 369; Dunn, Pete J. (1995): Franklin and Sterling Hill New Jersey: the world’s most magnificent mineral deposits, part: 5: 641. Common knowledge among local collectors.